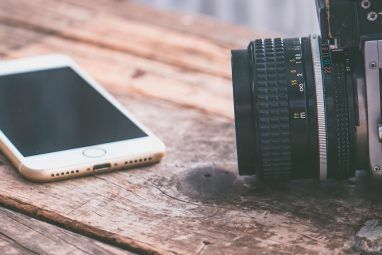 For the last several weeks, I’ve downloaded over a dozen camera and video apps for the iPhone, and though each has something unique to offer, I was particularly interested in finding the most practical camera app that would address the limitations of Apple’s built-in camera app. As of this week I think I’ve found it – Jens Daemgen’s ProCamera. I’ve tested several other similar apps, but the following are my reasons for choosing this one as my default camera for the iPhone. The built-in iPhone camera is typically the go-to photo taking app for must iPhone users. You can access it on the latest models of the iPhone and iPad right from the home screen, and it doesn’t have a lot of complicated features to get in the way of taking pictures. But ease of use means limitations in other areas. As I wrote in a previous article Managing & Processing iPhone Photos: Problems & Solutions Managing & Processing iPhone Photos: Problems & Solutions In the release of iOS 5, Apple introduced Photo Stream as a possible solution to managing and sharing iOS camera photos between Apple mobile and computer devices. Indeed, Photo Stream has been helpful, but in... Read More , taking iPhone photos can often lead to serious problems with managing and organizing shots and videos. Plus, the iPhone camera app is relatively slow, and not very useful for moving subjects. If you find yourself shooting lots of photos and video with your iPhone, or if you are looking to make iPhone photography a serious hobby, you owe it to yourself to step up to a more advanced camera app. My list of top ProCamera features is somewhat subjective, but it is based on my needs as a photographer out in the field. Most camera apps automatically save photos to the iPhone Camera Roll or to an app’s internal album. But with ProCamera you can turn off Automatic Save and preview each shot before you decide whether or not to save it. This preview feature is important to me because sometimes I want to take experimental shots or simply walk around downtown taking shots of whatever captures my attention. What I don’t want on these occasions is a lot of unwanted automatically saved photos that I will have to delete later. ProCamera’s photo preview works great, and if you do decide to keep a shot it gets saved automatically to the iPhone Camera Roll. 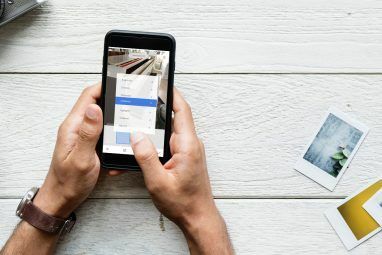 You can review saved photos and videos by simply sliding your finger to the right while in camera mode, as you do with the built-in Camera app. Unfortunately however, you can’t delete photos in the Quick-Flick Album; you have to open the device’s Photo Library to delete pictures. On occasions when I’m taking journalistic shots of moving subjects, I turn off Automatic Save and use RapidFire Mode. What I like about RapidFire mode on ProCamera is that you don’t have to pull up a menu to get to it. If you have Automatic Save turned off, you simply keep your finger pressed on the shutter button and it fires off rapid shots. In my test, I was able to fire off about about 14 shots before the buffer got full. RapidFire is not as fast as what you would get on a professional DSLR, or on another super fast app called Fast Camera, but it will come in handy for many moving subjects you’re trying to capture. 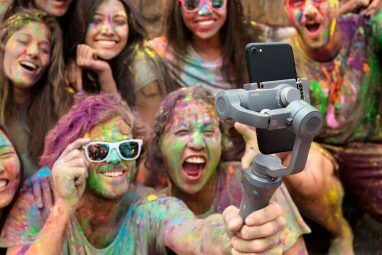 When you want to switch to the video camera, ProCamera makes it super easy. You just tap the little switcher button to the left of the shutter button. Many times, I’ve fumbled with the switcher button on the iPhone camera app, and on several occasions it took me a few seconds to realize I was shooting in video cam mode when instead I wanted to shoot in photo mode. ProCamera solves that problem by making it easier to switch modes. Even the video icon helps you know what mode you’re shooting in. ProCamera has dozens of other features that you will find in many other camera apps. These include anti-shake stabilization, a self-timer, fullscreen and volume trigger, social network sharing, and even a built-in QR code reader 7 Great Uses For QR Codes & How To Generate Your Own For Free 7 Great Uses For QR Codes & How To Generate Your Own For Free Quick response codes, or QR codes for short, have been used for a few years now to provide rapid access to URLs, messages or contact information. Marketing and advertising departments love QR codes, as with... Read More . ProCamera includes a very advanced and easily accessible set of photo tools for adjusting exposure, contrast, white balance, and temperature. It also includes its own set of artistic filters, but that’s not its main strength. While there are a couple of other advanced camera apps that I also keep in a home page folder on my iPhone, ProCamera is the one I’ve been using most often now for ease of use and its advanced features. Camera+ Pro and Camera Awesome 3 Unique iPhone Camera Apps That Are Worth Paying Extra For 3 Unique iPhone Camera Apps That Are Worth Paying Extra For Read More are two other great options, but they both lack the preview shots feature that I find really useful in ProCamera. Lastly, ProCamera is one of the few advanced camera apps that actually comes with a manual written in different languages. Though it’s not well illustrated, the developers do at least explain each of the app’s features. The ProCamera website also lists here what features are available on different iDevices, including the iPhone 3G. ProCamera only costs $2.99, and it often goes on sale for 99 cents, which is the price at the time I’m writing this article. 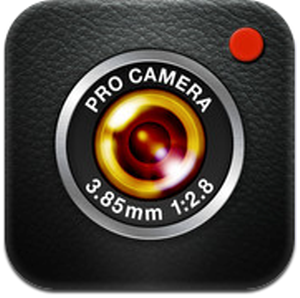 Let us know what camera app use most on your iDevice. What features do you find most useful?